A pot still decanter filled with barley, with tap and 2 glasses. 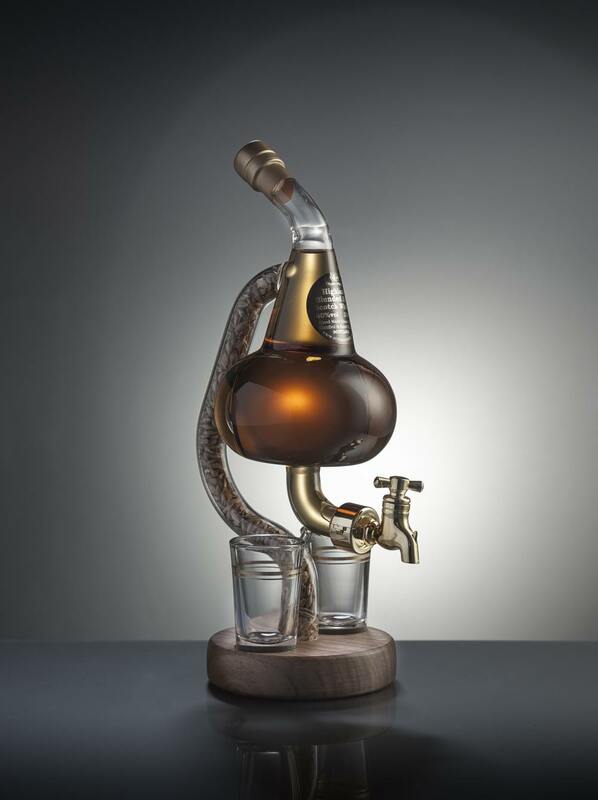 Pot Still shape decanter with working tap, glass stand filled with barley on oak wooden stand and 2 shot glasses. 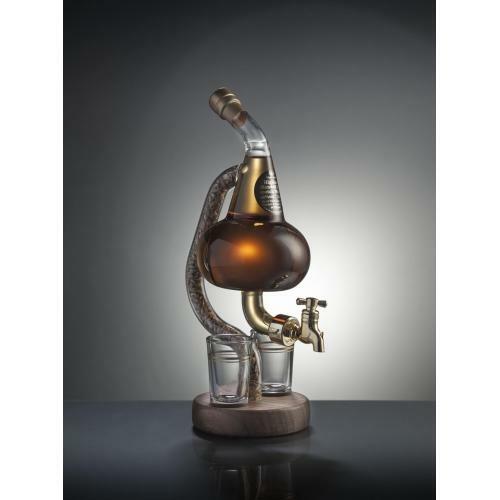 Filled with 350ml of Highland Malt Scotch Whisky, this Pot Still decanter makes for the perfect gift for whisky lovers! Full with typical Scottish flavours with the barley giving it a fantastic edge.